Pizza and Pasta lovers’ paradise, Italy. 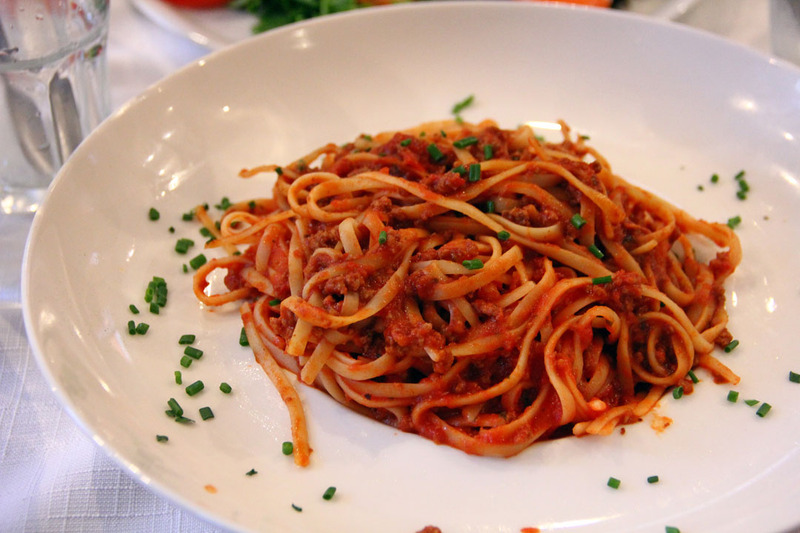 Well I guess this list would be the most predictable one as we all know what Italian cuisine has to offer us, but it’s not all about pizza and pasta because there are some other dishes that’s worth to be mentioned. Like in our past lists, I compiled most of what I tried which I feel you should try as well. The dishes below are the exact food items we ordered when we were in Milan, Rome and Pisa (except for the Tiramisu as I forgot to take a picture of it). 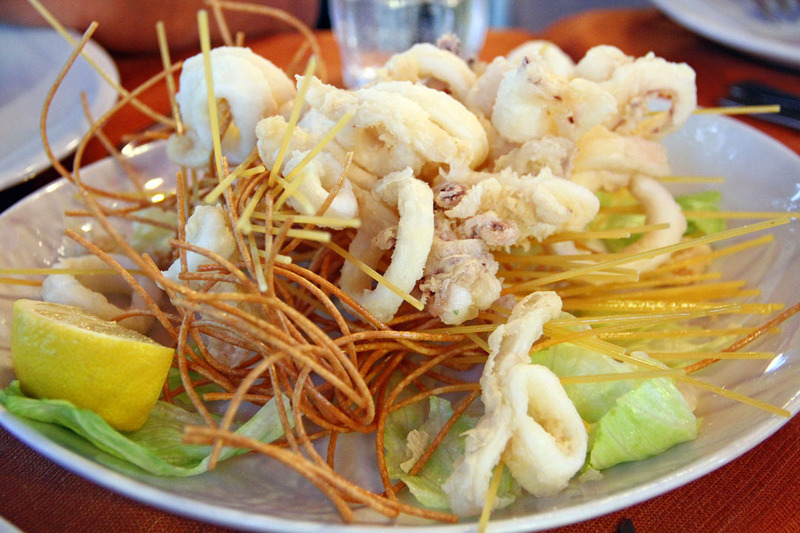 Fritti – It means fried and the Italians do know how to fry their stuff, from fish to squid and even zucchini flowers. For me the best one would be the calamari some of them even serve it with fried spaghetti. 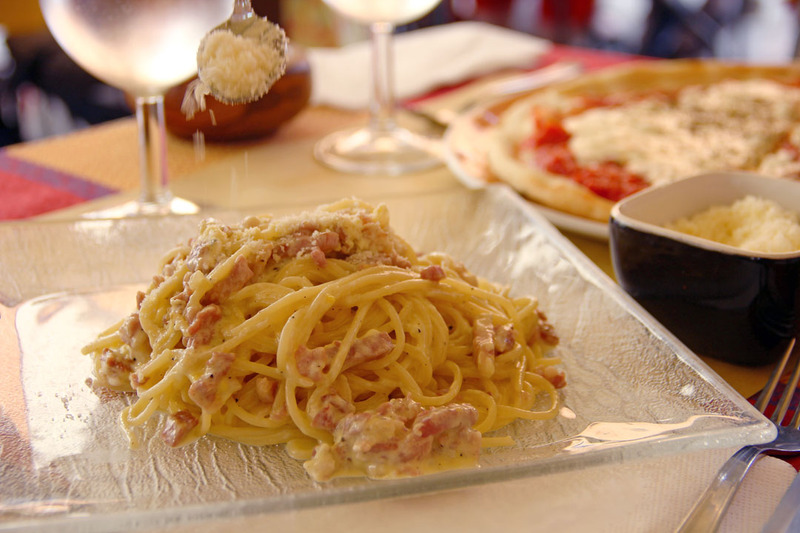 Carbonara – The first pasta on this list, that creamy pasta with salty bacon and pungent parmesan, simple yet delicious. 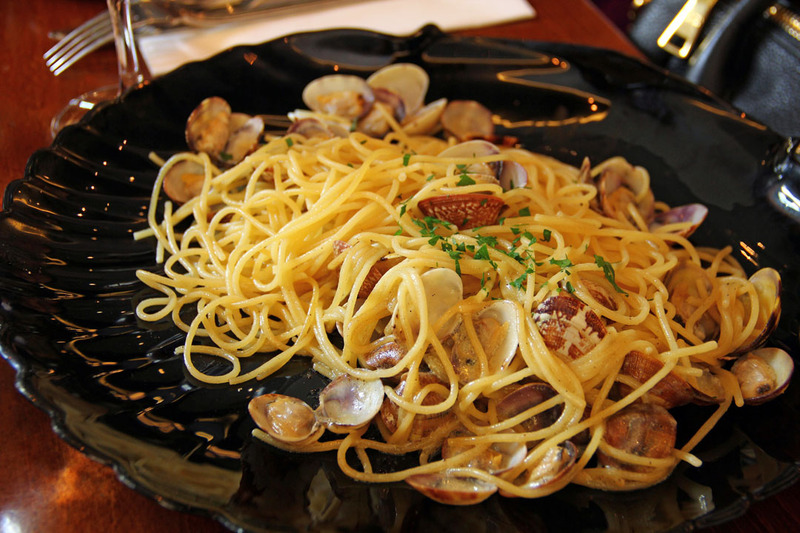 Linguine alle Vongole – Like the carbonara this is also a simple pasta dish and it gets its flavours from fresh clams which delivers a rich seafood punch. 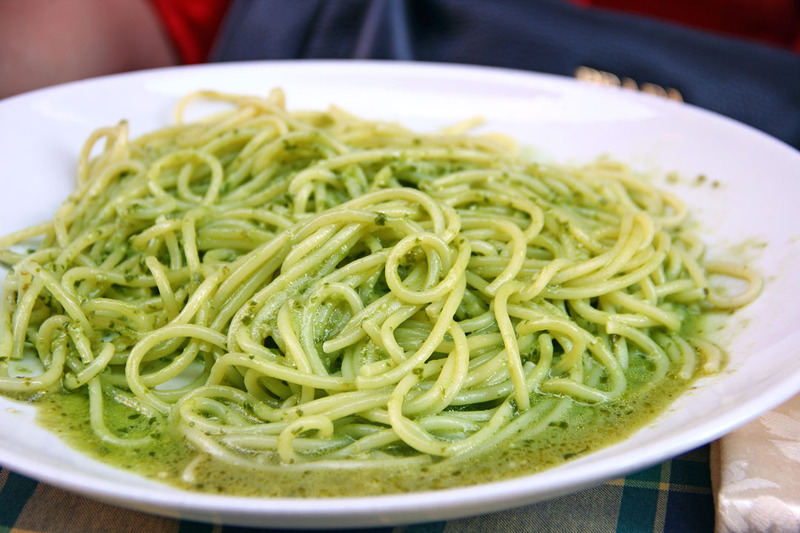 Pesto – If you’re not into meat then a freshly made pesto in pasta would be in your to try list. Frutti di Mare – I am a huge seafood fan so this should be on my list, the ones we had here was superb it contains a lot of seafood which I guess you can’t count the variety by one hand. 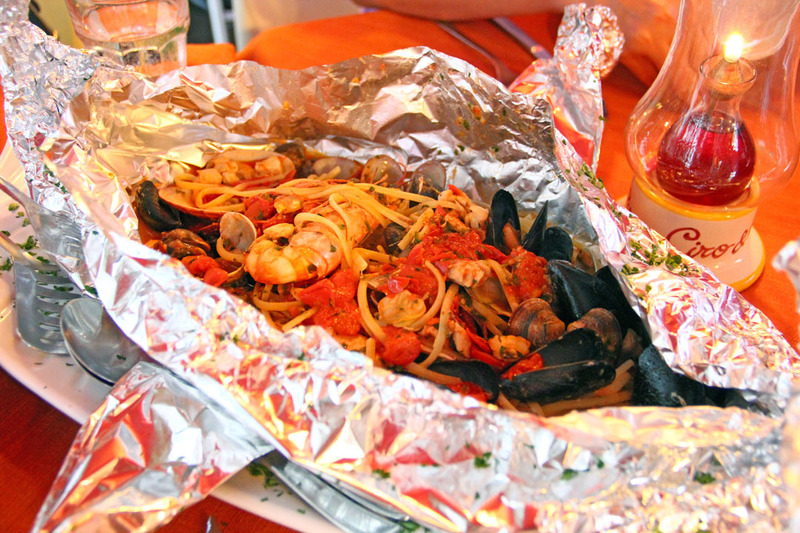 What’s inside that foil are prawns, scampi, mussels, clams, calamari, scallops and a whole fish. Bolognese – If you have kids then this I guess would be their usual order and definitely you will be the ones to finish it especially when the serving size is huge. Nothing will beat this classic! 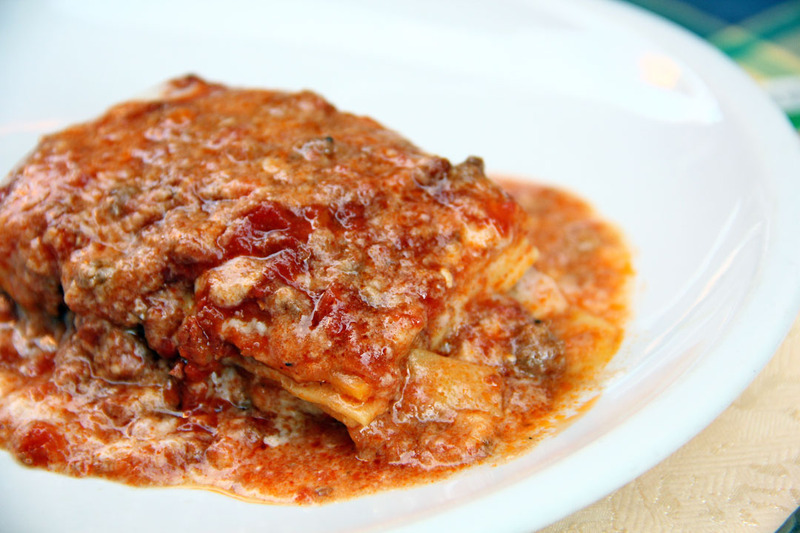 Lassagna – Layers of pasta, meat and silky smooth béchamel sauce just saying those words are good enough for this list. Veal Scaloppini – If you love meat then you should not disregard this dish, those thinly sliced veal served with mushrooms is heaven in a plate. 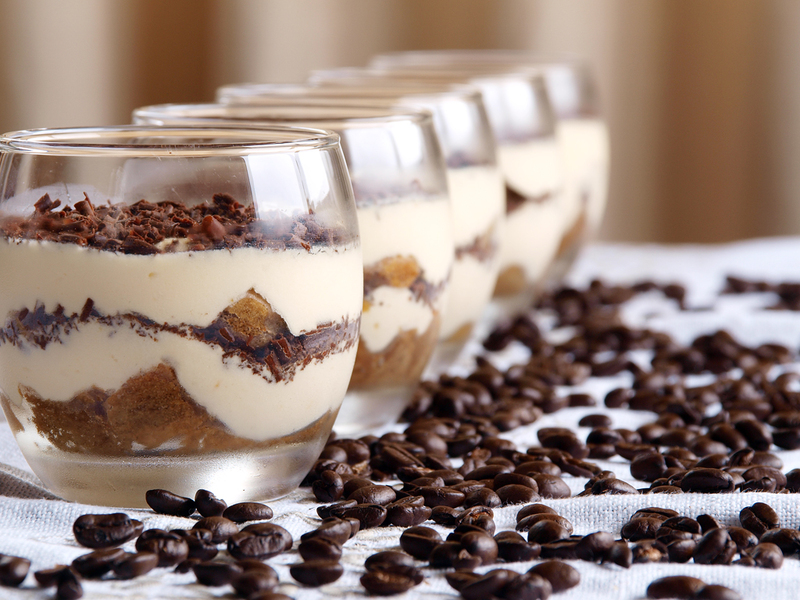 Tiramisu – Coffee and dessert rolled into one, you need to finish a proper Italian meal with a proper Italian dessert! Gelato – You might say that this is just and ice cream and you can buy it everywhere well they do it differently here, this Italian ice cream barely contains air but it maintains its smooth and soft texture. Without air it would also taste creamier and richer than the usual ice cream. 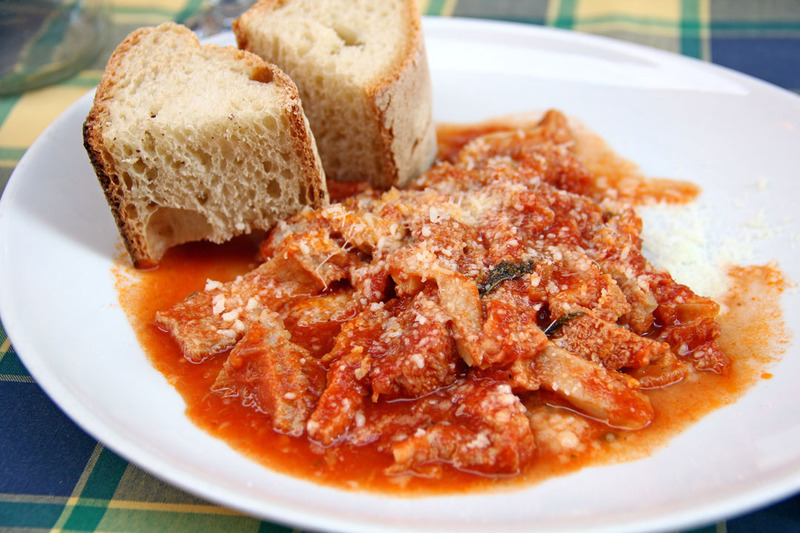 Tripa alla Romana – Tripe Roman Style! Its ox tripe served in rich tomato sauce drizzled with parmesan, I know this would not be in the list of many but try it even just once to see what you are missing. 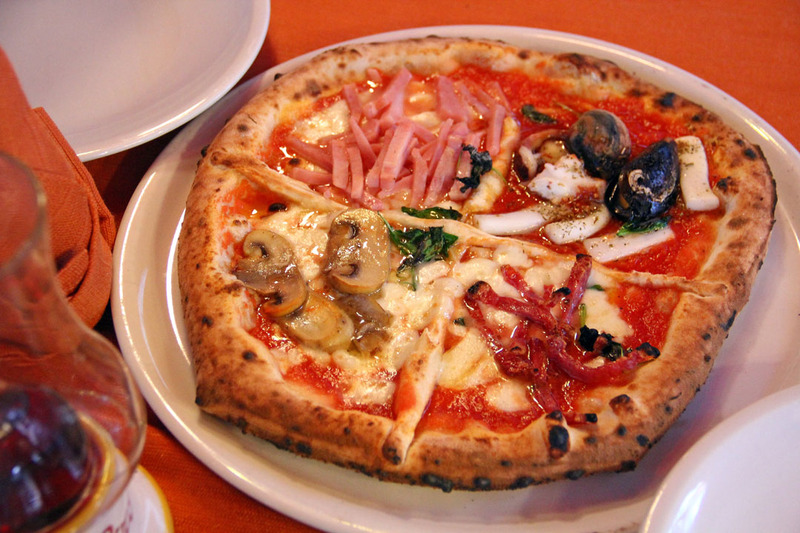 Pizza – There are a lot of variations and I don’t want to list them all here, generally all pizza in Italy taste awesome from proper pizzerias where it is cooked while you wait to the ones you find at train stations (street pizza dough is not as fabulous but it’s cheap and very tasty). This look really delicious. You are so lucky to be seeing and experiencing these tasty foods and seeing various places. Blessings. 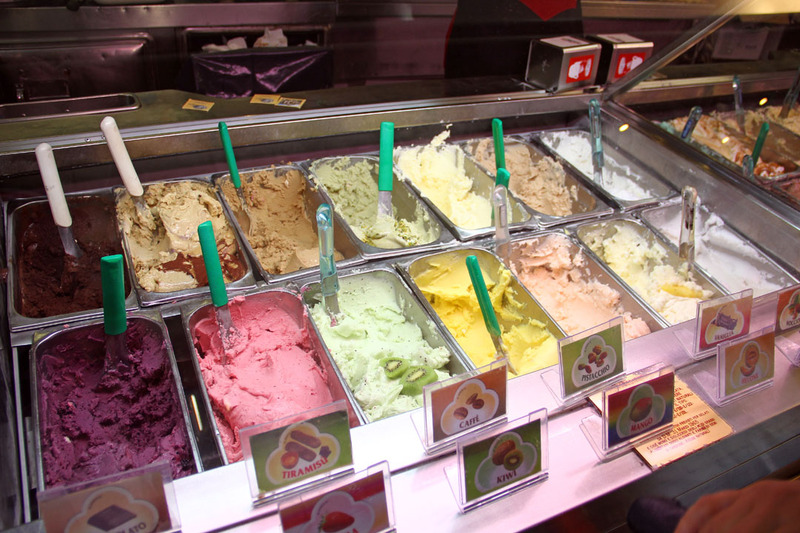 I’ll have a scoop of each flavor of gelato! gelato is definitely good in italia. have tried in san crispino, rome! These dishes are such classics and alongside French and Chinese, Italian is one of the great cuisines of the world with its rich food culture and history. If I can pick one country RIGHT NOW, I’ll choose to go to Italy because I really love Italian food and it’s been the country that I wish to visit for the longest. I’m hungry looking at the pictures. 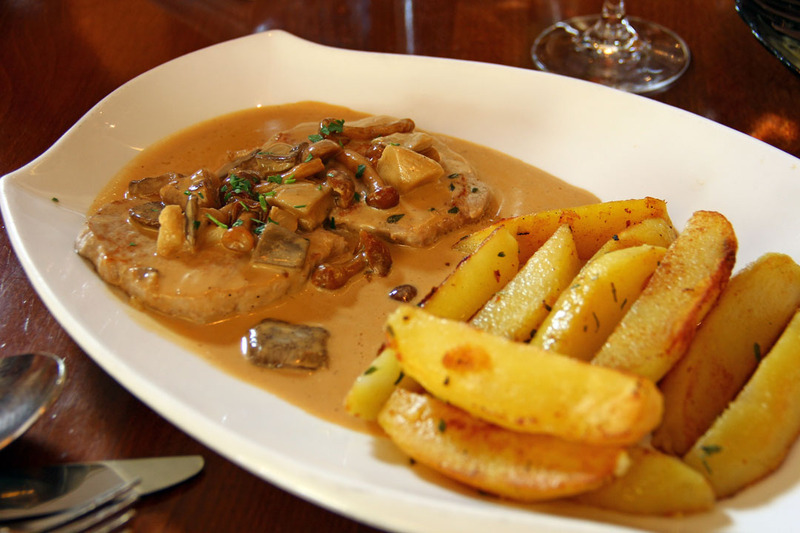 i think i love them all, btw, the veal scalloppini cost u more than 50 USD in Jakarta…. The Fritti look wonderful! I always wonder though, which one to choose: the Tiramisu or the Gelatto….really tough choice. Great list! I love Italian food. Never had the tripe dish – I definitely need to try that. Thanks so much. Every dish looks fantastic! I especially want to try the tripa alla Romana as I have never seen that served in Italian restaurants in NYC here. Thanks for sharing all the joy from Italy! Everything looks soooooooo good! Terrific post and photographs! I have a food coma just from looking, but I would eat any of them! The fried spaghetti is interesting. Was it good?